You don’t need to wait for spring to show some TLC to your decking. After all, this is the Lower Mainland, and we all know what the winter months bring…rain, rain, and more rain. With all that moisture, regular upkeep is vital to protect your decks from stains, mold, and water damage, and put off the need for expensive deck restoration. To keep yours looking its best all year round, here are some key things to remember on cleaning vinyl decks. Before you begin your deck cleanup, you’ll want to clear away the furniture and other items. Then, thoroughly sweep your deck, making sure to remove loose dirt and debris. For the bigger decks, you can use a leaf blower to get rid of any loose debris, grass, and leaves. After you’ve given your deck a good sweeping, spray the entire surface down with a garden hose to remove of any leftover debris your broom might have missed. If you want to know how to clean vinyl decking the right way, keep things simple. You don’t need to use anything fancy to wash your deck—a simple solution of dish detergent and hot water should do the trick. Using a SOFT brush or bristled broom, scrub in a circular motion to loosen the dirt and grime. Be careful not to apply too much pressure. Heavy scrubbing, especially from wire brushes can wear down any pattern you might have on your vinyl decking. When you’re done cleaning your deck, rinse off the surface, being careful not to leave any standing water behind. Over time, pooling water can cause stains and damage to vinyl decking. Mold, mildew, and rust—sometimes you might need to up your game to tackle trouble spots. If your basic soap and water concoction isn’t cutting it, you can try adding an abrasive-free commercial cleaner to a bucket of hot water to remove stubborn stains. And a word the wise, stay away from bleach as it can damage the material on your vinyl deck. Speaking of damaging your deck, it’s also a good idea to avoid using a power washer. If you haven’t seen what these pressure cleaners can do to vinyl decking material, trust us, it’s not pretty. Whether it’s ripped seams, tears, or damage caused by harsh cleaners or power washers, your vinyl deck’s luster and condition might be too far gone to save. If your vinyl decking has seen better days, it might be time for an overhaul. When your vinyl’s get-up-and-go has got up and went, give NewPort Dry Deck a call. We have the vinyl deck alternatives that can stand up to whatever you or Mother Nature can throw at it. 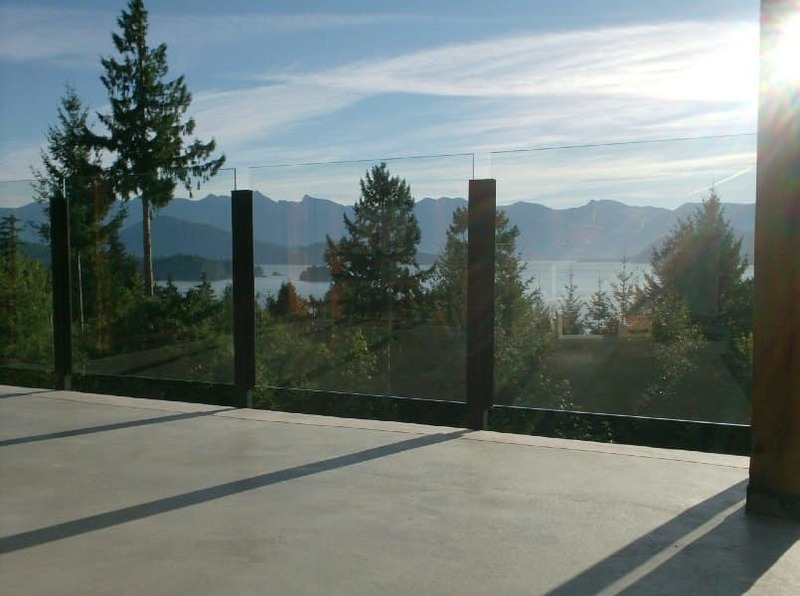 Wire brushes, harsh cleaners, power washers, and even grinders are no match for our decks. And the best part is that they are 100% waterproofed for life. Now that’s tough! For a durable deck restoration that will stand the test of time, contact us today!